Why are MongoDB deployments under attack? 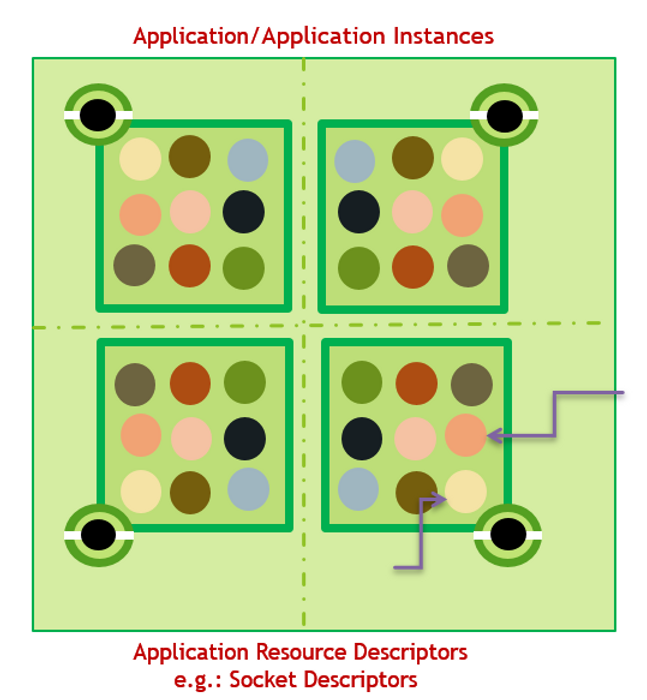 Today, I wanted to discuss the most pressing problems which MongoDB based applications are suffering with. Worldwide the attacks on MongoDB including taking the database for hostage grew multi-fold in 2017 only. By some analysis, within one week of January 2017, these incidents grew to 28000. WannaCrypt: What should you do? I cannot emphasize enough that botnets and ransomware remains one of the biggest threats to various businesses. The damages to the economy are enormous. Just about 2 days ago, I responded to a Dale Drew’s (CISO of Level3 Communications and a well-regarded security expert) blog – 256: WHY HEALTHCARE SECURITY IS VULNERABLE AND BOTNETS & RANSOMWARE REMAIN OUR BIGGEST THREAT. I highlighted the severity due to international nature of ransomware. WannaCrypt ransomware is creating havoc on internet connected Windows PCs and servers and bringing down businesses one after the other. Here are some of the very important factors you need to know about this threat. WannCrypt enters PCs, Laptops, servers and devices running unpatched Windows 7, Windows 8 or previous versions of Windows operating system using SMB v1 vulnerability. It encrypts all the files on the device and communicates to Command and Control Center with the details of the device held hostage. A red and white window with a message board gets displayed with the details of the threat. Warns you about all of your data files, documents, pictures etc. being encrypted. Few of them can be decrypted for free but for others you need to pay certain number of bitcoins for decryption. Gives warning on number of days you have to pay the ransom. Not paying within the given time limit triggers deletion of your files. It also shows the amount of time left for you to pay the ransom. A link to pay ransom to is clearly shown at the bottom of the warning page. Some more details of the vulnerability are given here as described by the Microsoft Security Protection Center . This ransomware uses Microsoft Server Message Block 1.0 (SMB v1) server vulnerabilities to get transported into the system and uses the same protocol to transport to other systems or spread. Operating Systems targeted: Unpatched versions of Windows including Windows 7, Windows 8, Windows Vista. Alternative names of ransomware: WannaCrypt, WanaCrypt0r 2.0, Wanna Decryptor. According to Microsoft Security analysts when run it tries to communicate with the following URL: iuqerfsodp9ifjaposdfjhgosurijfaewrwergwea.comon port 80. It appends .WNCRY extensions to all the encrypted files. It looks for files of almost all the important types with corresponding extensions. It does not use wildcard in filenames for encryption. What should you know if affected? The ransom seems to be different for different cases. There is no guarantee or assurance that you would get your files decrypted back after the ransom is paid. Ransomware and MDN (Malware Delivery Networks) are complex mechanisms. They depend upon multiple factors on the network and connectivity for destruction and recovery. As far as possible, keep your system connected to the network if you plan to pay the ransom. Again, this is not an encouragement but it would be a complex decision based on your business critical operations. If there is any special observation, post it to this blog or any blog of your choice and share the information. What should you do to avoid infection? Keep all the unaffected systems offline or move them to different segment of the network with appropriate segmentation or firewalls. Get the latest software updates to your Windows systems. Use segmentation technology for your servers which provide protection for legacy protocols as well. Always follow strong and frequent data backup procedures for archival. Application security is relatively new technology compared to traditional network security. The gravity and importance of application security has increased multi-fold with the rise of public, private and hybrid cloud environments ,where the underlying infrastructure such as compute, network and storage may or may not belong to application owners. Large number of legacy applications is being ported to cloud environments. Then there are cloud native applications which are completely developed, tested and productized on cloud environments. In other words, your application requires special consideration for security. How big is the problem? The answer has two variants. Financially, it will be about $7 billion dollars by year the 2021. Not alarmed? Technologically, it will kill the Digital Transformation and Industry 4.0 which is worth $380 billion dollars by year the 2021. Digital transformation and industry 4.0 market sizes by Gartner. Now, that we are on the same page lets discuss Deterministic Application and Data Security.